Friends–if you want tomatoes…we got them. We’ve spent countless hours in our OTR grow room watering, pruning, and saying sweet nothings to these fabulous plants. Promised to give you bountiful and delicious tomatoes. 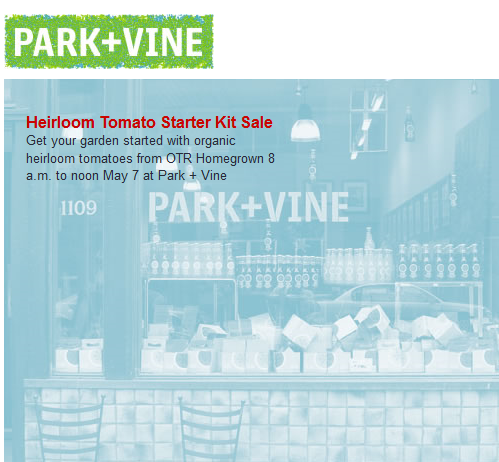 Join us on Saturday to pick yours up and be sure to check out Park+Vine’s awesome garden room. What are Heirloom Varieties and how do they differ from non-heirloom, hybrid, and open-pollinated varieties. How to Transplant a Tomato. How to save the seeds of a tomato for next year. How to Water a tomato. And tricks to tying up a tomato. 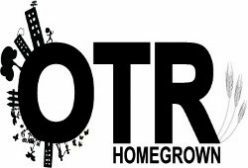 Next Next post: OTR Homegrown Hosts Block Party!